Our friends Futurebirds are hitting the road this Fall with their hometown compadres Dead Confederate. Things kick off this Saturday in Athens with a show at Max Canada before the bands make their way across the US of A. 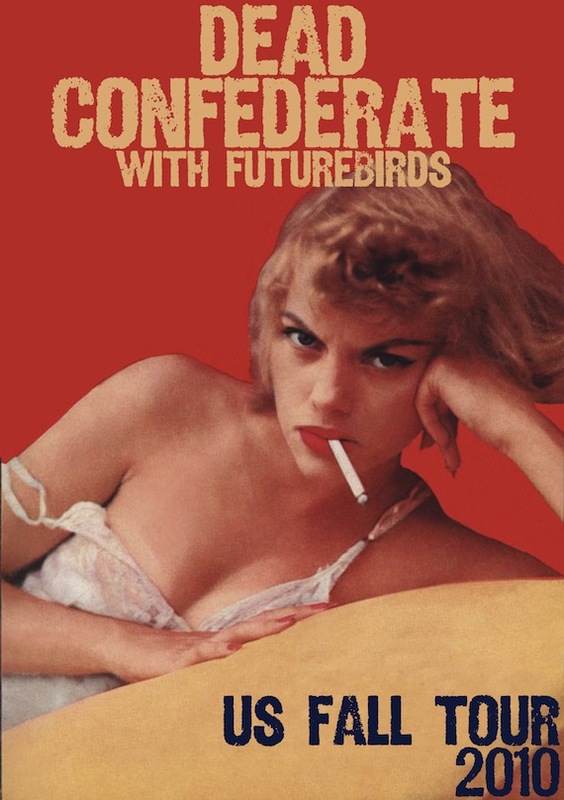 Dead Confederate are touring in support of their sophomore LP, Sugar, (release August 24th) while Futurebirds continue to convert the masses spreading the gospel of Hampton’s Lullaby. We are giving away a bunch of tickets for each date. To enter for a pair, email deadfedbird AT gmail.com and leave your full name, and the date/city of the show you are looking to see. Winners will be contacted with tickets avail at will-call. 09-23 Akron, OH — Musica ! 09-24 Pittsburgh, PA — Rex Theater ! 09-28 Brooklyn, NY – Music Hall of Williamsburg ! 09-29 Washington DC — Rock and Roll Hotel ! 09-30 Carrboro, NC – Cat’s Cradle ! 10-01 Charlotte, NC – Snug Harbor ! Patriot’s Point, Mount Pleasant, South Cack-A-Lacky….great times at the Tin Roof, hope to see ya’ soon.